In this project I’ll show you how to create polymer clay leaf beads using foils and marbled clay. 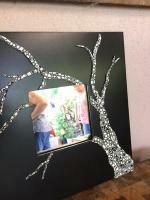 They’re fun to make, can be adapted to different designs, and made with many different materials. 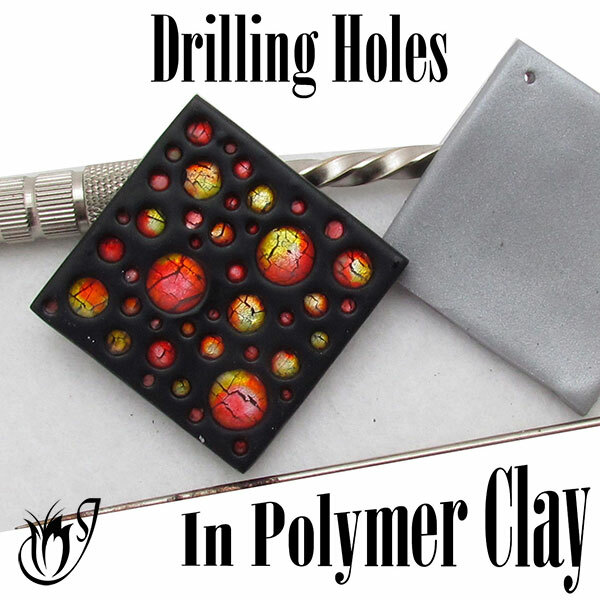 They can be used on their own on a piece of chain, as shown, or can be integrated into a more complex polymer clay jewelry design. Today I’ll be using foils and marbled clay, but you could use anything you wanted. With a coat of resin they are the perfect gift. 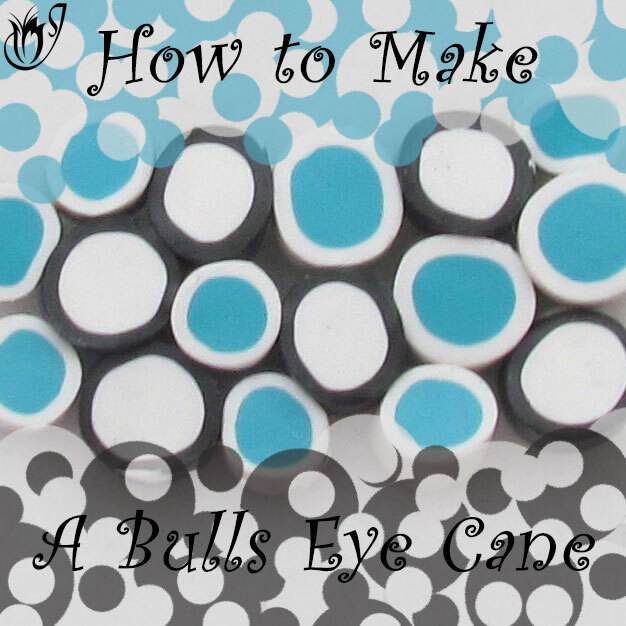 What more could you ask for in a polymer clay project? Roll a small log of each of your four clay colors. Lay the four logs side by side. Roll the four pieces into one log. Twist, roll and condense the log. Repeat these steps until you get a nice marble. Roll your marbled log into a ball. Flatten the ball and run it through the pasta machine on the thickest setting. Fold it in half and run through again. Repeat a couple of times until you achieve a striped marble. Cut a piece from your sheet to roughly fit the size of your leaf cutter. 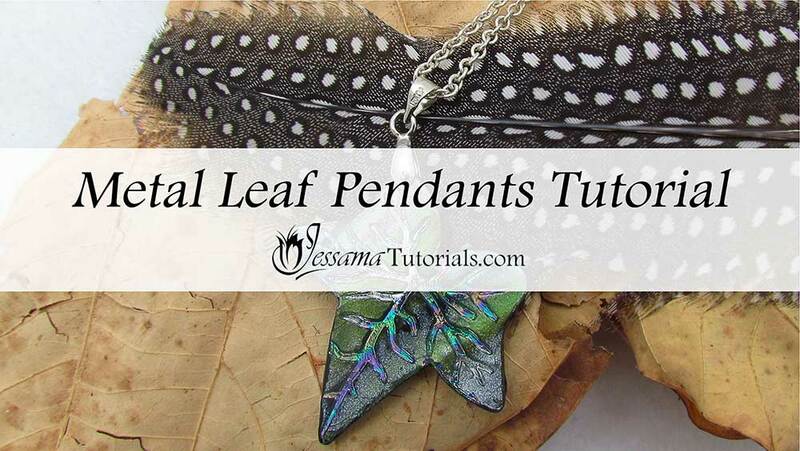 Cut and emboss your foil covered polymer clay using your embossing leaf cutter. Use sticky tape to gently remove the raised foil from your bead, leaving the embossed foiled veins in place. 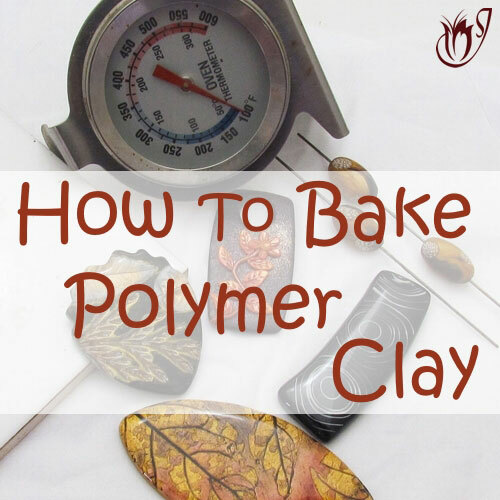 Bake your polymer clay bead for 30 minutes at the recommended temperature for your brand. Let your beads cool before handling them again. Brush black liquid clay along the sides of your beads. Bake again for another half an hour at the recommended temperature. Once cool, coat the back in black liquid clay and bake again for half an hour. 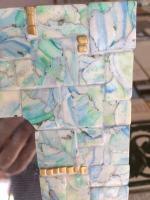 Sand your beads to a high shine using wet/dry sandpaper or polishing papers. Once cured you can drill holes in the beads and attach bails. String the beads on chain and attach the clasp. 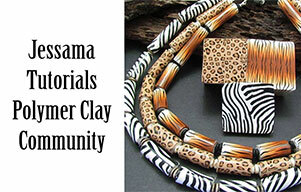 You now have a cute little gift or a piece of finished polymer clay jewelry for yourself. 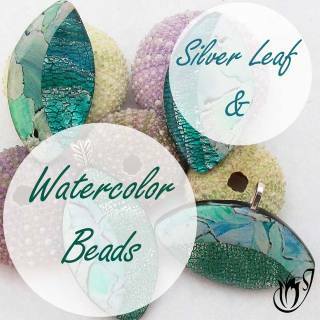 In the video tutorial I show quite a few variations of this technique using different marbles, foils and some alcohol inks, so please do take a look at that. You can also find embossing cutters on eBay.